You are here: Home » Columnists » Turn the Other Cheek? “Love your enemies.” “Turn the other cheek.” (Mat 5:38-40). This sounds admirable to some, but preposterous to others. The 19th century philosopher Friedrich Nietzsche thought such talk promotes a society of weaklings. Karl Marx thought these words keep the oppressed under the thumbs of the capitalists. Does Jesus want us to be doormats, suckers who allow ourselves to be taken advantage of by every bully, dictator and gangster that comes down the pike? Let’s look at a few examples. David did not kill Saul, the Lord’s anointed (1 Sam 26). But neither did he give himself up. He resisted the injustice of his insecure king even while he respected the king’s sacred office. When the citizens of Nazareth tried to throw Jesus over the brow of the hill, he slipped through the crowds and escaped (Lk 4:29-30). His time had not yet come. 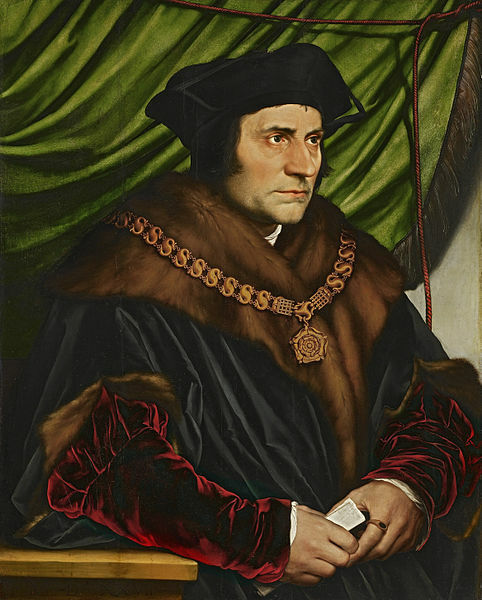 When Henry VIII divorced his wife, married another, and declared himself head of the Church, his Chancellor, Thomas More, did everything he could ethically do to avoid execution (see the movie A Man for All Seasons). Tough love sometimes demands we say tough words. Jesus called the Pharisees hypocrites and publicly exposed their sophistry (Mark 7). After sentence was pronounced, Thomas More loudly proclaimed to the packed courtroom that the King had no right to make himself head of the Church of England. But wait a minute. Isn’t that judging? Didn’t Jesus say not to judge (see Luke 6:37ff)? What no human being can or should do is judge the ultimate standing of another person before God based on the hidden motivations of the heart. People can do some abominable things based on fear, hurt, or misinformation. Recall the words of Jesus: “they know not what they do.” But what they do is abominable, nonetheless. Though God alone is competent to judge the heart, we can and must judge whether objective behavior is bad or good, right or wrong. Sometimes it is even our duty to tell people that it is wrong and condemn it in the strongest possible terms. Abortion is wrong. But that does not mean that a particular woman and her abortionist are alienated from God, bound certainly for hell. And it does not mean that I am better than the particular woman or physician who is a party to an abortion. Jesus said “from those to whom much has been given, much will be expected.” Maybe the woman and the abortionist have done more with what they’ve been given than I. That’s not for me to figure out. That’s God’s call. My responsibility is to care enough about them to tell them the truth and help them get the support they need to live according to that truth. Dr. Bernard Nathanson, notorious abortionist, and Norma McCorvey, the “Roe” of Roe vs. Wade, ultimately became prolife activists. Why? Because they met Christians who, while hating the sin, truly loved the sinner. Such love of enemies is supernatural. It is possible only for God and for those who let His love work through them. Will such love change everyone? The example of Judas and the Pharisees would argue not. Yet Norma McCorvey and Dr. Nathanson demonstrate that, for those whose hearts are the least bit open, such love is often irresistible.